There are at least 19 species of owls in North America. Sixteen types of these owls have been seen in Canada. They are the Barred Owl, Barn Owl, Boreal Owl, Burrowing Owl, Flammulated Owl, Great Gray Owl, Great Horned Owl, Long-eared Owl, Northern Hawk Owl, Northern Pygmy-Owl, Northern Saw-whet Owl, Short-eared Owl, Snowy Owl, Spotted Owl, Western Screech-Owl and the Eastern Screech-Owl. The Elf Owl, Whiskered Screech-Owl and the Ferruginous Pygmy-Owl are southern species and are more likely to be seen in Mexico. These different species of owls are unique in themselves, as some are capable of living in the arctic tundra where they hunt during the day while others hunt only at night. 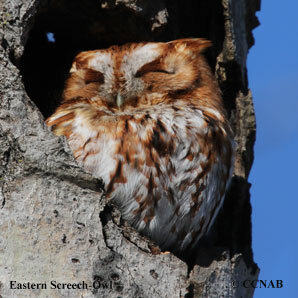 Because the majority of owls hunt at night, most owls are only heard and seldom seen. Some hunt their prey while perched on trees or from vantage points and pounce upon their unsuspecting prey. Others will glide over fields in the same manner as hawks. While some are only able to live in certain habitats, others adapt to different landscapes and are quite able to survive.